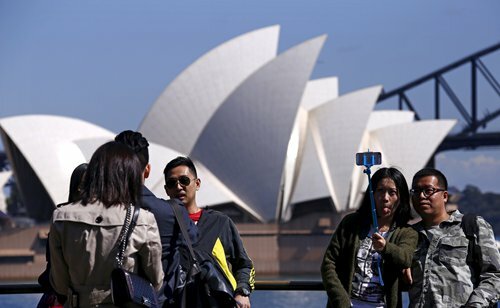 Australia, in a landslide, won the title of "Least friendly country to China in 2017" in a recent online poll answered by Chinese netizens. India, after trespassing into Chinese territory for more than two months this year, ranks second but the number of votes it gets is far below that of Australia. The survey, conducted by Chinese news portal huanqiu.com, the Chinese website of the Global Times, opened on Monday. It asks one simple question "Which is the least friendly country to China in 2017?" Respondents are allowed to vote only once and pick just one choice. By Wednesday, Australia had received 8,751 votes out of 14,667 participants, or 59.6 percent of all votes, followed by India (1,986 votes), the US (1,585 votes) and Japan (1,327 votes). South Korea ranked fifth with 572 votes. This is the first time that huanqiu.com conducted such a survey. Some Chinese experts say the result displays Chinese people's hatred of betrayal. "In Chinese culture, treachery is really despised, and this is a key reason why Australia received the most votes," Yu Lei, a research fellow at the Oceania Research Center of Sun Yat-sen University, told the Global Times. "China has made efforts to sincerely boost bilateral cooperation, but Australia has never stopped inflaming hostility on the South China Sea issue. Recently, Australian politicians' and the media's anti-China chorus became more rampant. Chinese netizens felt that China's efforts and sincerity in developing bilateral ties was not properly appreciated by Australia," said Yu. In recent times Chinese students and businesspeople residing in Australia have been depicted as spies or government agents. And after a number of attacks on Chinese students in Australia, the Chinese embassy and consulates in the country issued a safety alert on December 19. China is Australia's largest trading partner and business is booming. When Chinese Premier Li Keqiang visited Australia in March, he and his counterpart Malcolm Turnbull witnessed the signing of many bilateral cooperation documents in fields including trade, innovation, agriculture, food and intellectual property. However, Australia in 2017 has continually incited and allowed hostility to develop against China. On December 7, Turnbull said at Australian federal parliament that he "took reports very seriously that China's Communist Party had sought to interfere in his country," a great turn from a month earlier when he took a selfie with Chinese President Xi Jinping and US President Donald Trump at an APEC conference in Vietnam and posted it on twitter saying that they are working together to secure "safety and prosperity." Many comments were posted by survey respondents, some quite direct. One states "His (Turnbull's) fickleness is truly disgusting," while the others say "Australia is not qualified to be China's rival, and China doesn't need to treat it seriously, because it's just a US proxy in the Asia-Pacific region to fulfill Washington's will." Yu said that "In the past, Japan was playing this role, but now with the Sino-Japanese relationship already at its lowest point with no space to fall, Australia has started to use its role to counter China's growing influence in the region." The US ranks third in the survey. Shi Yinhong, director of Renmin University of China's Center for American Studies, told the Global Times that previously, Chinese public opinion of the US was more positive than most countries. "Maybe after US' new national security strategy labeled China as a competitor, Chinese people began to harbor feelings similar to those felt by other countries toward the US," Shi said.